“Because of REACH…well…they’re the only reason I’m alive,” says 22-year old Nate Morris. He just kind of wishes he could remember that helicopter ride, since it was his first. The trade-off is that he also doesn’t remember the horrible accident that gashed his head open, injured his brain and severed a nerve, paralyzing the left side of his face. Nate and his family were out boating. Nate was on the inner tube. Nate’s mom, Cara, recalls, “They weren’t messing around or even going that fast, but it got a little windy.” Suddenly the inner tube went airborne, smashing Nate into the levee’s concrete blocks, leaving him unconscious and bleeding badly. The fire department responded by boat, but it was quickly obvious that Nate needed REACH. 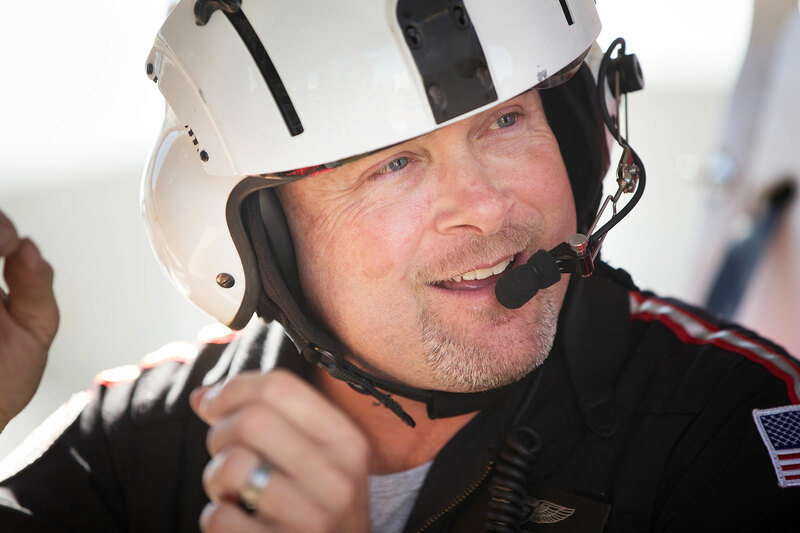 No one was sure if the wind was going to make landing the helicopter on the levee possible, but REACH pilot Matt Higginbotham executed a successful landing, getting Nate the help he needed in the quickest manner possible. Flight Nurse Brian Warner prepares for a flight. Because of REACH...well...they’re the only reason I’m alive. Nate stayed on the fast track, returning to work after four months. On the one-year anniversary of his accident, he went skydiving. “I’ve always really hated heights, but for some reason, I wasn’t scared at all,” he says. The left side of Nate’s face remains paralyzed, so doctors recently performed a surgery intended to use a portion of a nerve in Nate’s tongue to restimulate the damaged facial nerve. Although it may take up to a year to see major results, Nate reported subtle improvements within weeks. Nate with his parents who are so grateful he's still in their lives.